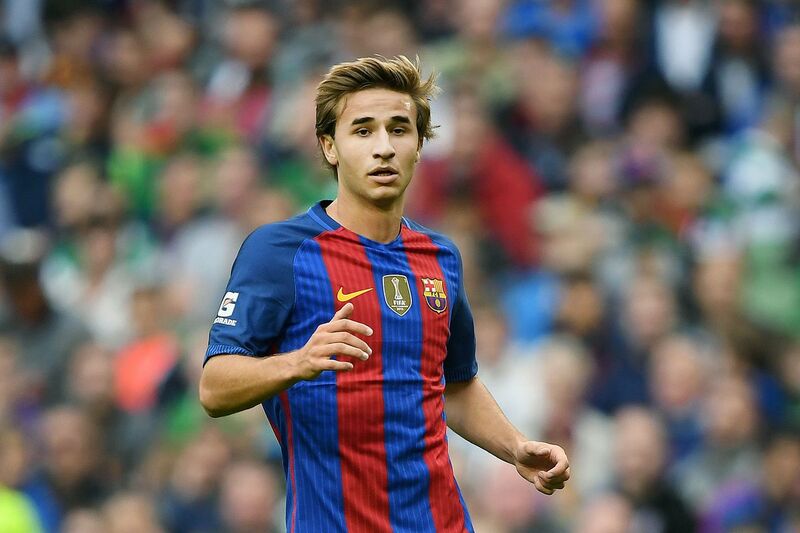 Barcelona midfielder Sergi Samper is set to leave the club on loan and join Las Palmas, according to La Provincia. Having played on loan at Granada last season, Samper was expected to be given a chance in the first team at the Camp Nou this season but the recent arrival of Brazilian Paulinho and pending move for Jean Michael Seri has seen that chance fade. Samper, who would have to compete with both of the above – would also have to contend with Ivan Rakitic, Andres Iniesta, Rafinha, Andre Gomes, Sergi Roberto and Denis Suarez. And, following lengthy talks between Barca and Las Palmas – it is understood a season-long loan has been agreed, with the youngster travelling to Gran Canaria at present to complete his move. His move will see him replace Roque Mesa, who joined Premier League side Swansea City. Having begun his career at Barcelona, Samper spent twelve years progressing through the Catalan club’s various youth teams, before playing for the B team and making his senior debut at the age of 19 against APOEL in the 2014/2015 Champions League. 12 appearances have followed for the first team, whilst gaining recognition with the Spanish international setup, featuring at all ages up to U21. Barcelona summer arrivals so far have seen Marlon Santos, Gerard Deulofeu, Nelson Semedo and the before mentioned Paulinho. Who will be Pat Fenlon’s successor at Easter Road?